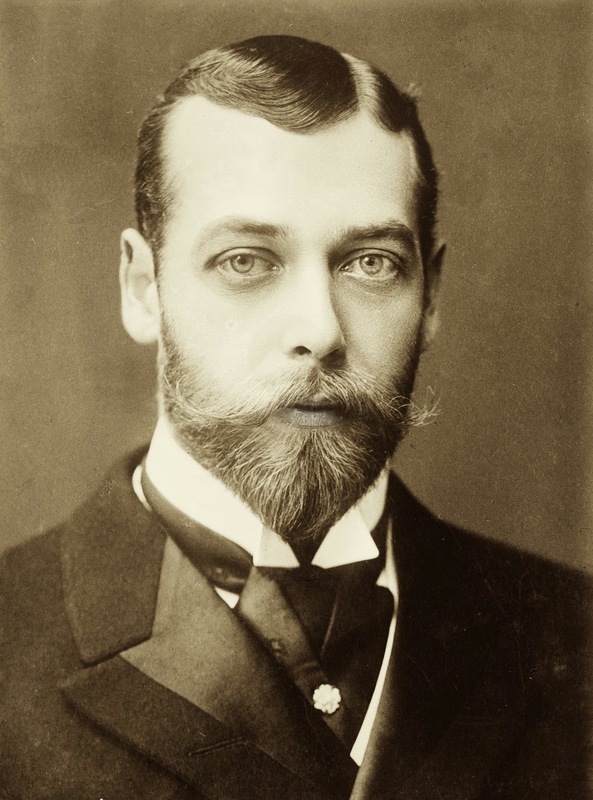 When George V was proclaimed “Emperor of India”: Each Indian ruler or "native prince" was expected to perform proper obeisance to the King-Emperor by bowing three times before him, then backing away without turning. 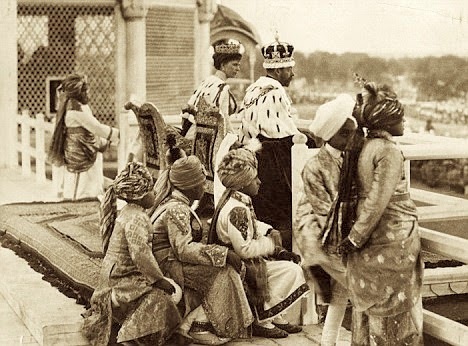 As Delhi prepared to mark 100 years as India's capital, a previously lost diary written by an Anglo-Irish aristocrat provided a fascinating insight into an extraordinary but largely forgotten act of dissent against colonial rule by an Indian maharajah. Lilah Wingfield witnessed the moment 100 years ago when, in front of 100,000 spectators, the Gaekwar of Baroda, otherwise known as Maharajah Sayyaji Rao III, bowed improperly when presenting himself before the British monarch, then turned his back disrespectfully and walked away. 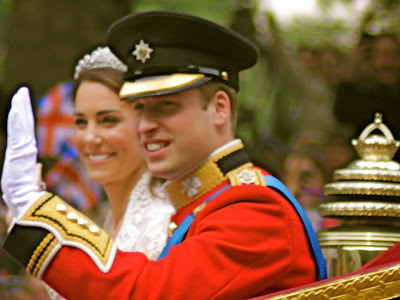 It was an audacious act of defiance at an event that contemporary observers have described as a thousand times grander than royal weddings over the past 60 years in London. 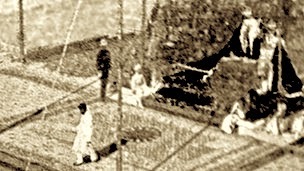 Grainy image from BBC News of the maharajah "Laughing disrespectfully" while walking away. "It was one of the strongest gestures of dissent by a princely ruler," he said, "and took place against a backdrop of growing support for India's independence movement." The maharajah's act of dissent came as colonial rule in India reached its zenith. According to author Jessica Douglas-Home, the maharajah's gesture caused shock among British officials attending the event. The 1911 Delhi durbar, or mass assembly - when George V was proclaimed Emperor of India - was the only such assembly to be attended by a British monarch in person. The durbar was a display of unparalleled grandeur attended by nearly all of the great and the good in British India, who stayed in a tented city near Delhi that accommodated 250,000 visitors, guests and their servants. Each Indian ruler or "native prince" was expected to perform proper obeisance to the King-Emperor by bowing three times before him, then backing away without turning. The maharajah not only ignored royal etiquette by turning his back on the king and queen after formally introducing himself but compounded his perceived insolence by reportedly "laughing disrespectfully" as he departed from their presence. Lilah Wingfield's observations are recorded in a book by her granddaughter, Jessica Douglas-Home, about her travels in India at a time when it is now realised that British colonial rule had reached its zenith. Within 40 years, India would be independent. 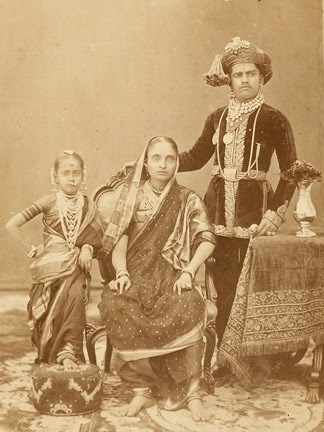 Although Mrs Douglas-Home inherited her grandmother's photos of the durbar, the diary detailing Miss Wingfield's views of the event was lost for many years before being discovered in an English secondhand bookshop and sent on to her. The Viceroy of India, Charles Hardinge. The Viceroy originally was the head of the British administration in India. After Indian independence in 1947, he became the representative of the Indian monarch and head of state. "They reveal that the Gaekwar of Baroda - second in importance only to the Nizam of Hyderabad - broke every rule in [Viceroy of India] Lord Hardinge's book," Mrs Douglas-Home writes in A Glimpse of Empire. "He arrived at the amphitheatre in full dress and covered in the historic Baroda jewels, but removed them all just before the moment came for him to approach the king. "On reaching the shamiana (the dais) he made a cursory bow from the waist, stepped backwards and then, wheeling around, turned his back on the royal couple and walked from their presence nonchalantly twirling a gold-topped walking stick." Mrs Douglas-Home said the maharajah's gesture caused shock among British officials attending the event. 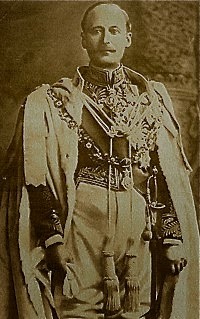 From then until his death in 1939 he was for the most part ostracised by the British authorities even though he wrote a letter of apology soon afterwards which said that if he had not seemed to conform to the ritual, it was due to "nervousness and confusion in the presence of Their Majesties". 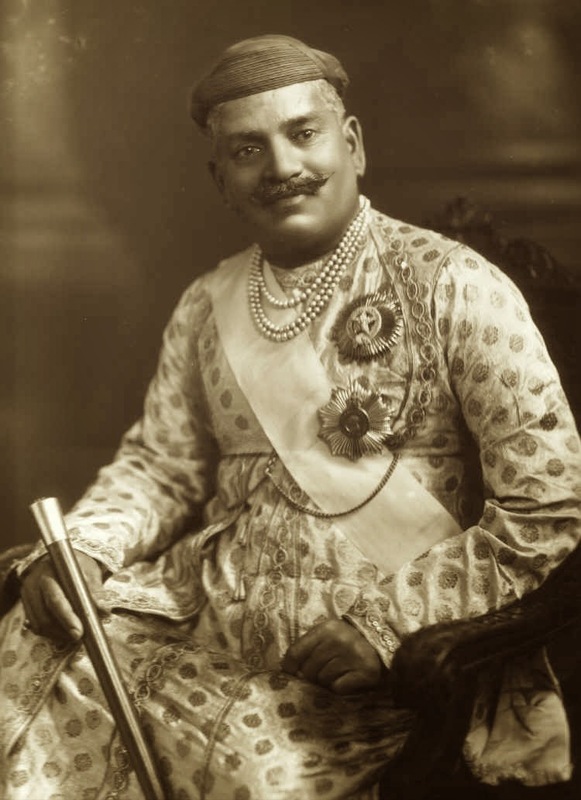 The maharajah was partly rehabilitated in 1919 when he was made a Knight Grand Commander by the British. Maharajah Sayyaji Rao III's "Commendable Bravery" ~ Princely states (also known as "native states" or "Indian states") were nominally sovereign entities of India during the British Raj. They were not directly governed by the British, but rather by local rulers under a form of indirect rule, subject to a subsidiary alliance and the suzerainty or paramountcy of the British Crown. Indian historian Amar Farooqi says that while the maharajah's actions showed "commendable bravery" it was not at the time - or in later years - given as much attention as it merited. Officially, there were 565 princely states in India at the time of India's independence in 1947, but the great majority had contracted with the Viceroy of India to provide public services and tax collection. Only 21 of the major princely states had actual state governments, and among them only four were large (Hyderabad, Mysore, Baroda and Jammu and Kashmir). They acceded to one or other of the two new independent nations of India and Pakistan between 1947 and 1949. The accession process was largely peaceful except in the case of Jammu & Kashmir (whose king decided to accede to India, but only after an invasion by Pakistan based tribal militia) and Hyderabad. All the princes were eventually pensioned off. The actions of the maharajah are today seen by Indian and British historians as coinciding with the beginning of the end of British rule in India. King George V ~ It was planned as a show of strength in which Indian royal families paid homage to their king ~The Delhi Durbar, of 1911 was held for the formal purpose of enabling King George V as Emperor of India to announce his coronation to his subjects in India, and to receive homage from the Viceroy and his officers, and from the Indian ruling princes. The Emperor and Empress, Queen Mary, sat on a covered dais in an arena composed of two amphitheaters. The total number of participants and spectators was estimated at 100,000, including over 30,000 British and Indian soldiers. "It was a brave and symbolic act of resistance carried out at an enormous event in front of anybody who was anyone in British India," says Anna Jackson, head of the Asian department of the Victoria and Albert Museum in London. "No-one could have predicted that barely three decades later the entire British edifice would collapse. "The event was supposed to be a show of strength in which Indian royal families paid homage to their king." Indian historian Amar Farooqi says that while the maharajah's actions showed "commendable bravery" it was not at the time - or in later years - given as much attention as it merited. "It was one of the strongest gestures of dissent by a princely ruler," he said, "and took place against a backdrop of growing support for India's independence movement." Prof Farooqi says that while the British played down the maharajah's dissent, few Indians - apart from well-connected nationalist leaders - would even have known that it had happened. "It is not recognised much now because nationalists campaigning for Indian independence at the time and in later years did not want to be associated with princely rulers," Professor Farooqi said. "Their perceived decadence was a source of some embarrassment. "They wanted that part of the independence struggle to be be deleted from history because maharajahs were seen as too closely associated with the worst excesses of the Raj. Sayajirao, who had already caused consternation among the British officials by refusing to wear his full regalia of jewels and honours, was third in line to approach the King-Emperor. Eyewitness reports state he walked away "laughing" after perfunctorily bowing only once, before turning his back on the King-Emperor. Other accounts state that he refused to bow at all. For several years previously, Sayajirao had angered the British by his open support for the Indian National Congress and its leaders. His granddaughter Gayatri Devi, states in her autobiography that due to some reason he had been unable to attend the rehearsals and didn't know how to greet The King-Emperor. Either way, the breach of royal etiquette proved to be the last straw. He was openly forgiven when he was awarded a GCIE* in 1919. "That is why today in India so few schoolchildren know about the rulers of princely states. Princely India simply does not exist in the textbooks". Prof Farooqi says, however, that the maharajah has received recognition for the pioneering reforms he introduced - many ahead of their time - in Baroda. He was the first Indian ruler to introduce compulsory and free primary education in his state in 1906, placing it far in advance of the rest of British India. In addition he played a key role in the development of Baroda's textile and banking industries, expanded women's rights, improved access to education, banned child marriages and legislated against discrimination between different castes. But he is probably most widely remembered in India today for his decision in 1913 to finance three years of postgraduate studies for BR Ambedkar, revered as the principal author of the Indian constitution, at Columbia University. "At that time it boosted the morale of all those working towards achieving independence for India," he said. "He wanted to instil in his countrymen a sense of pride and self esteem, which he achieved by this and many other actions. Baroda state was the one of the best administered states of British India." *The Most Eminent Order of the Indian Empire is an order of chivalry founded by Queen Victoria in 1878. The Order includes members of three classes : Knight Grand Commander (GCIE), Knight Commander (KCIE), Companion (CIE). No appointments have been made since 1947.